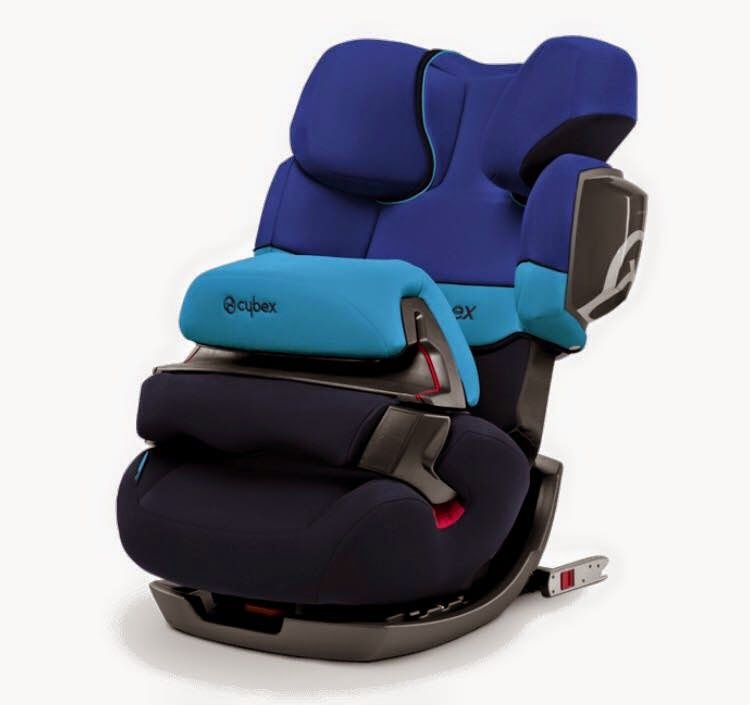 Mum of Five Staying Sane: Our review of the Cybex Pallas 2-Fix Group 1/2/3 car seat. Suitable for children 9-36 kg, age approx. 9 months to up to 12 years. 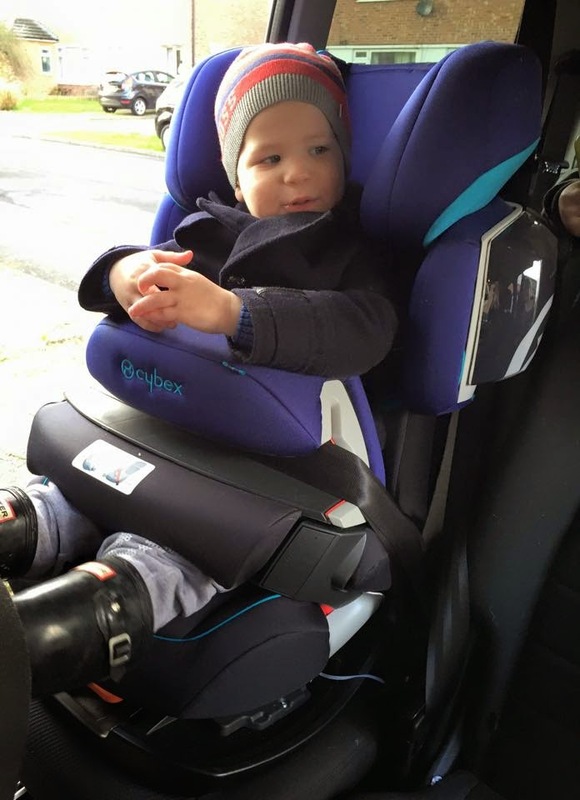 Over the past couple of months we have been trying out the Cybex Pallas 2-Fix car seat. Suitable for children approx. 9 months up to 12 years, 9-36 kg. 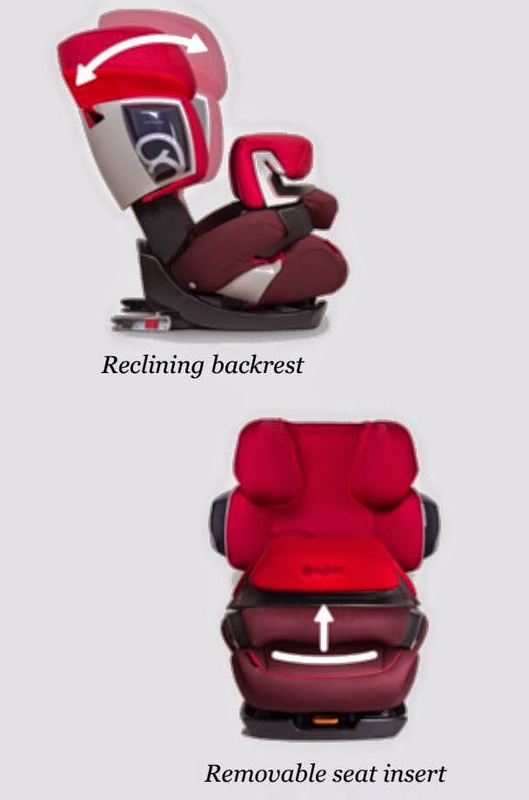 As a 2 in 1 car seat it can be used for almost 11 years and WHICH? rated its safety performance in accidents as excellent throughout the entire lifespan and gave its side-impact protection its top marks of 5 stars. We were able to try the seat with three of our children in both the Group 1 setting as well as the Group 2/3 setting. 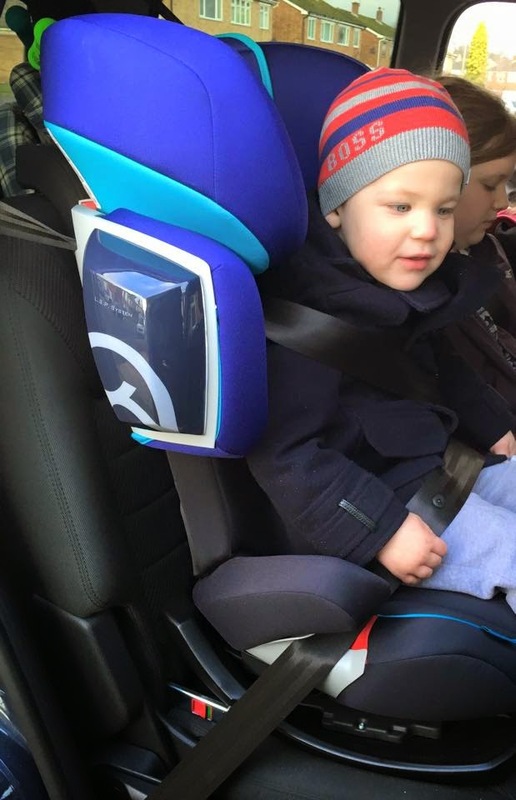 Thing 5 (aged 2 years and 4 months) used it as a Group 1 car seat with the adjustable safety cushion in place. This acts like an inflatable airbag and in a collision protects against neck injuries without being restrictive. 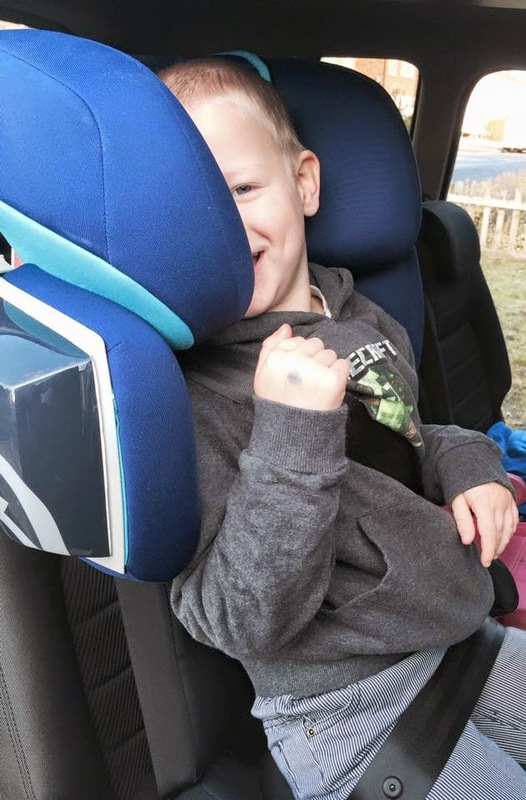 At first it was a struggle to get him to use it with the safety cushion as he wasn't used to having a car seat with this type of safety fixings. Had it been a purchase we had made when he first moved on to a Group 1 seat he would be used to it. Our 2 year 4 month old using the Cybex Pallas 2-Fix in Group 1 with the safety cushion, removed the cushion in picture 2 just to show it in use without the safety cushion although this can be used up to age 3 years. The Pallas 2-Fix was very easy to fit in the car with its Isofix points. We have a Ford Galaxy and the 3 middle seats in the car have the Isofix points to fit the Pallas 2-Fix into but not the back 2 seats. It took only seconds to fit and adjust into place ready for use. 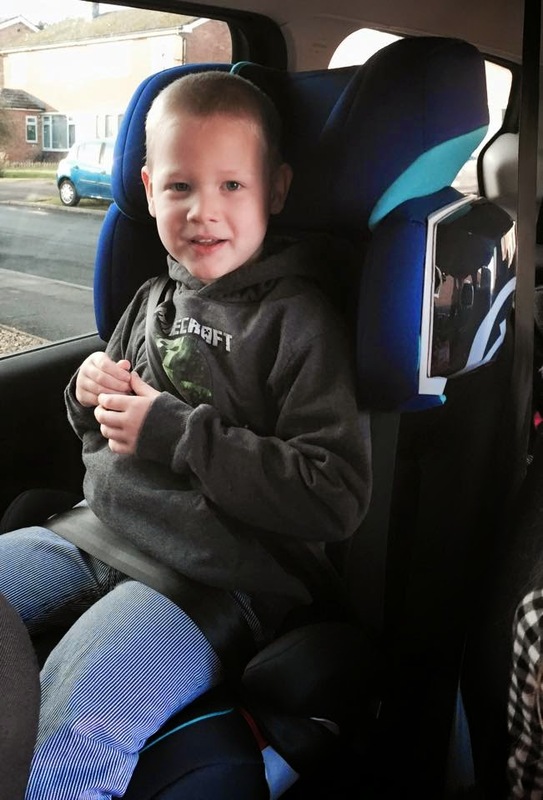 It was also very easy to adjust the headrest height between uses for the different height of the children. The head rest also has a 3 position recline which guarantees optimal protection in a side impact. This technology also shifts the balance point of a child head slightly back and prevents it from falling forward when a child is asleep. 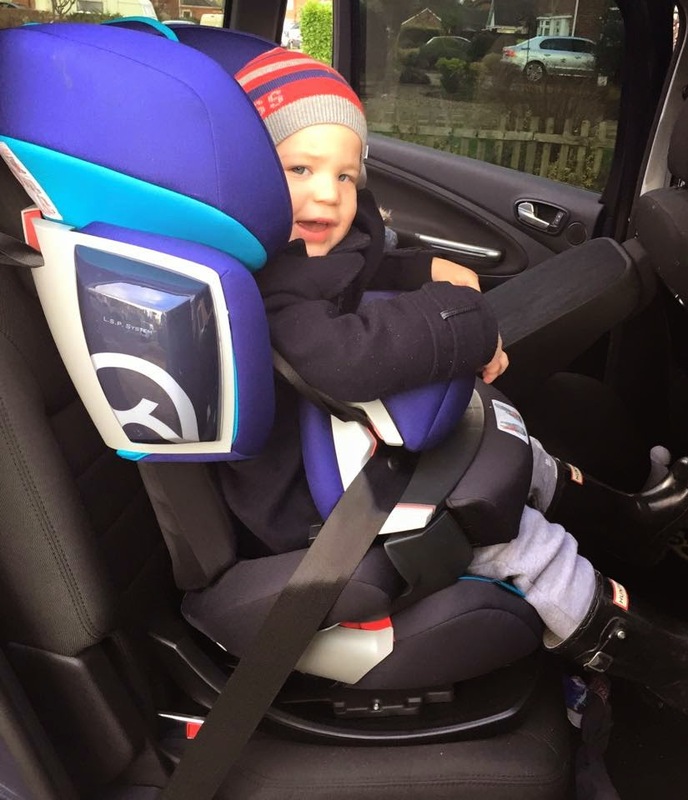 When in use as a Group 2/3 car seat the safety cushion is no longer needed and it's used with the three point harness in the car. We used it as a Group 2/3 car seat for both Thing 3 and Thing 4 (aged 8 years and aged 5 years). Both were very comfortable and the easily adjustable back rest meant we could make sure the headrest was at the right position for both comfort and safety. Our 5 year old using the Cybex Pallas 2-Fix. Looking very comfy and safe. It was so easy to use and adjust to fit. 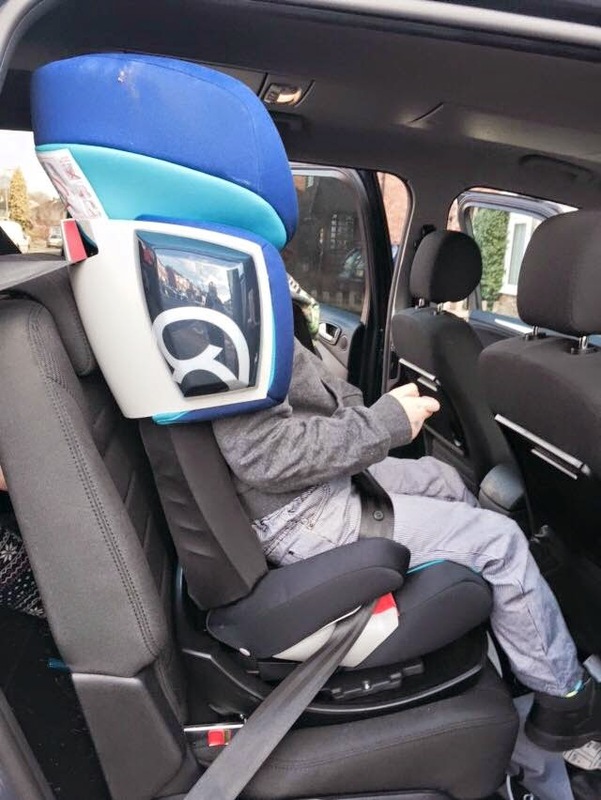 It also has a recline function which is easy to use with one hand from the front of the seat which makes a journey for a sleeping child even more comfortable. This is a great car seat. it was very easy to fit in the car and to use. 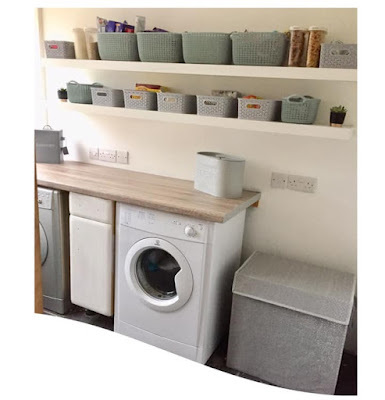 It is a very chunky car seat and not something I would want to buy if I was looking to move it between cars often but for use in one car and leaving it in situ it's perfect. The Isofix is always a plus point for me as I like how secure it feels once in the car. The safety cushion feature is also very good. It took a little getting used to for Thing 5 but as I said if we had been using since he was ready to use a Group 1 car seat he would be used to it by now. The fabrics are lovely and soft and comfortable and even better that they are machine washable at 30 degrees. Car seat covers always need a wash every now and again! This is a chunky, durable and solid car seat and it's great that it covers Groups 1,2 and 3 too. Thank for great review. That help me alots ! I like the shades too.